This blog is about quilt stitching for mosaic quilts comprised of lots of smaller blocks of fabric so definitely “blocky” looking in design. 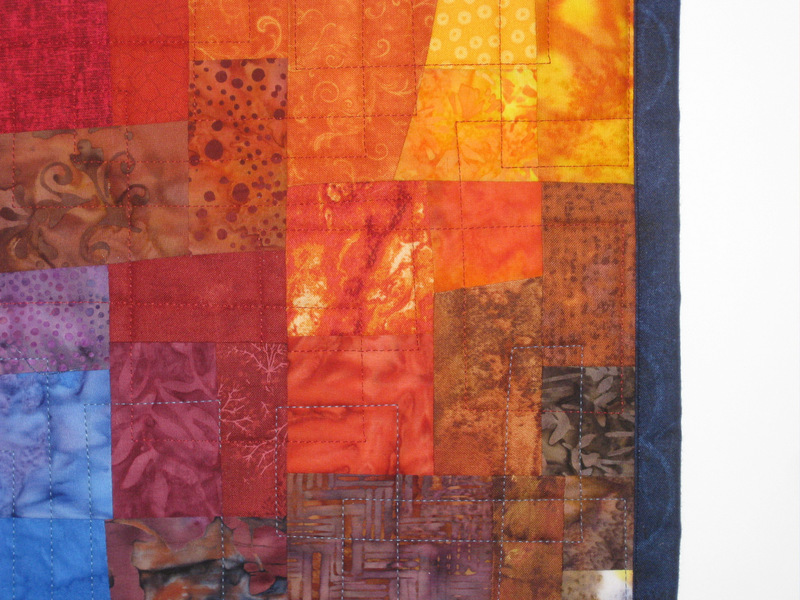 I enjoy designing and piecing mosaic quilts, using different color combinations ebbing and flowing with the colors. All are abstract depictions of color. 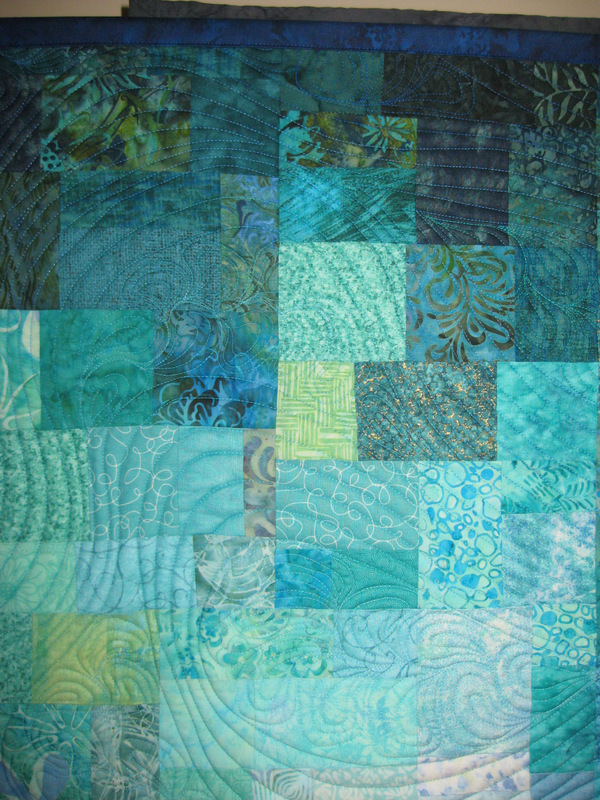 For some of my mosaic art quilts I emphasize the “blocky” design by using a free motion quilt design of continuous blocks in and around and thru each other. The picture with the multi-colored fabric illustrates this. On these multi colored quilts I use a variety of thread colors which is probably just more fun than anything but it allows you to highlight or not the stitching. 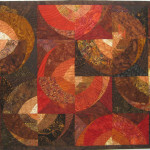 For my larger mosaic quilts I like to soften the mosaic blockiness by using a more meandering echo stitch design. To further customize the echo design, I periodically create open spaces where I then stitch a free motion loop in loop design as filler. All these curves draw your eye away from the more defined lines of the fabric blocks and instead let you focus on the mosaic colors. 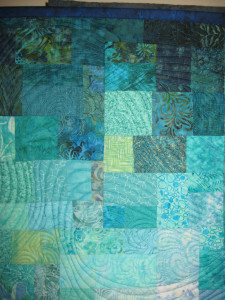 See the picture of a close up section of my teal green mosaic quilt. 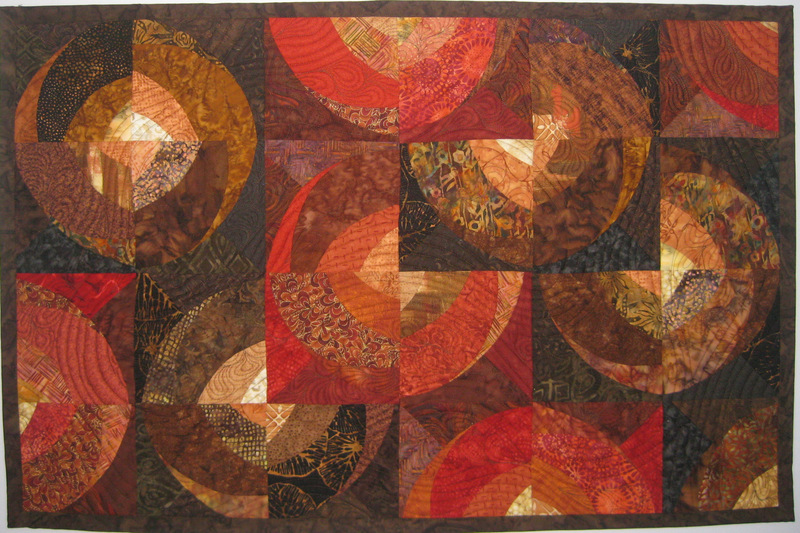 I use the same echo meandering design with a circle quilt I make which is the most traditional in construction of any designs I make. 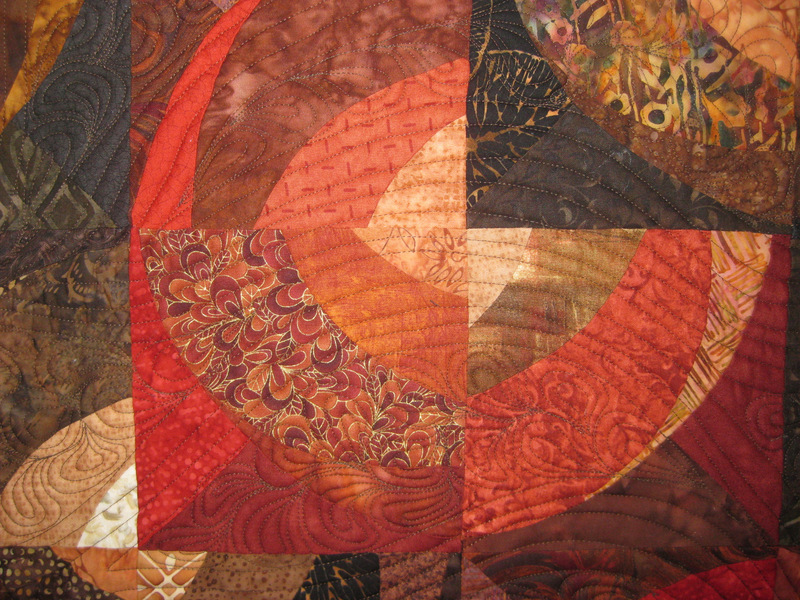 I’ve included a picture of the full quilt and a close up of the free motion stitching.